Each HS20 has (2) SFF (Small Form Factor) U320 SCSI disk slots that can accommodate 73GB 10K disk drives. 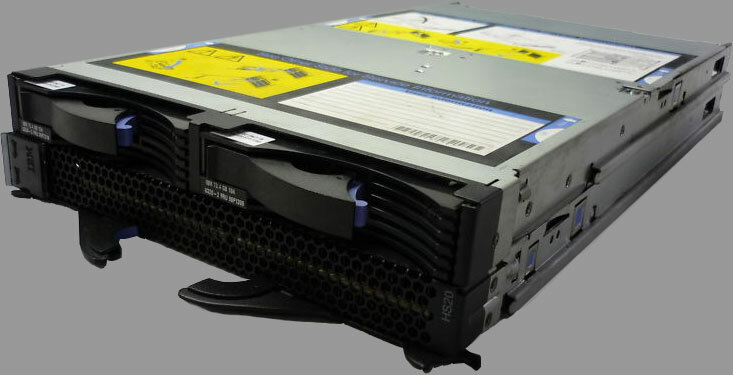 An optional Blade Center Expansion Unit (pictured above) can be attached such that two 3.5" (Large Form Factor) 300GB 10K U320 SCSI disk drives can be used in addition to more gigabit Ethernet or Fibre Channel adapters. The expansion bay is used in place of the internal small form factor drives.